Quite a design for a luggable by IBM. The PS/2 p70-386 will go down as a classic. 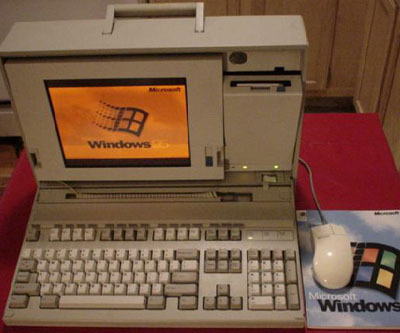 Uses a 20MHz 80386 Processor, 4Mb RAM, internal 3.5" floppy drive, 60Mb Hard Drive, Gas-Plasma color display 640x480 pixels and 16 gray levels.